Dr. King’s racial dream on hold? See my article, “Revisiting Dr. Martin Luther King’s Dream,” here. Politicians and universities admitted putting racist photos and depictions of whites in blackface in student yearbooks. A U.S. congressman from Iowa who has long supported white nationalism was finally rebuked by his colleagues, and lost committee assignments. Schools in Charlottesville, Virginia—home to a 2017 white supremacist rally–recently closed for two days as police investigated a threat of racist violence against non-white students. The Anti-Defamation League’s Center on Extremism says disturbing incidents are on the rise. Reports of people distributing white supremacist propaganda (fliers, stickers, banners and posters) rose 182 percent, from 421 reports in 2017 to 1,187 reports in 2018. See the ADL report here. Martin Luther King, Jr., was frustrated with white Christians who said blacks should be patient and wait for justice to arrive. King would likely be frustrated today. You can read Dr. King’s letter here. Huge alien space pods have landed at a dozen spots around the world. 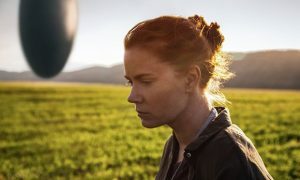 Will a linguist (Amy Adams) be able to communicate with these beings from another planet, ascertain their intentions, and respond quickly if they are out to get us? 78 years after Orson Welles scared millions with his Halloween broadcast of “The War of the Worlds,” bad guys are back in “Arrival,” the latest in a long list of movies and books about aliens among us. Remember when horror fiction writer Whitley Strieber said aliens abducted him, probed his body, and declared him their “chosen one” in his creepy, allegedly nonfiction bestseller, Communion? 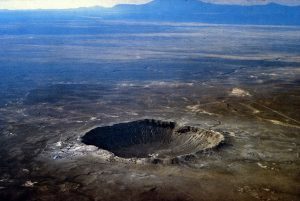 Most Americans think we’ve got company in the universe, and nearly a third of us believe aliens have visited our planet. The search for actual aliens (or SETI) has been going on for decades, but so far none have turned up. A growing number of space missions is probing more of our cosmos’s nooks and crannies. But even if none are ever found, they will survive in our imaginations, our movies, and our sci-fi novels. Here’s my theory explaining why most of us seem to believe alien life forms are out there somewhere: pop culture. Our hearts and minds have been shaped by decades’ worth of adorable aliens who’ve visited us on screens small and large most of our lives. 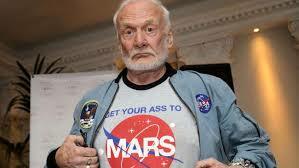 I know these celebrity extraterrestrials have informed my imagination about life in space. The Sunday evening “news report” interrupted a program of dance music with warnings of explosions on Mars. But it was actually a scripted broadcast of H. G. Wells’ 1898 novel, “The War of the Worlds,” that scared millions that Halloween night. Ladies and gentlemen, I have a grave announcement to make. Incredible as it may seem, both the observations of science and the evidence of our eyes lead to the inescapable assumption that those strange beings who landed in New Jersey farmlands tonight are the vanguard of an invading army from the planet Mars. Soon, eyewitness accounts were describing shocking details. Martian invaders were causing American deaths, scaring millions of listeners out of their wits. Some called police stations. Others organized prayer groups, or started packing suitcases for an escape . . . before realizing everything had been part of an elaborate Halloween hoax. When the dust settled, a little known twenty something actor and producer apologized for abusing the public’s airwaves and trust. Three years later, the same young man would release his film masterpiece Citizen Kane, perhaps the best movie ever made. 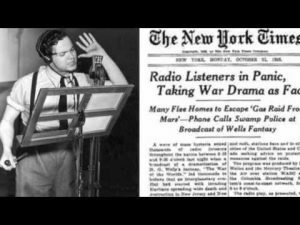 This is Orson Welles, ladies and gentlemen, out of character to assure you that “The War of the Worlds” has no further significance than as the holiday offering it was intended to be. . . . We couldn’t soap all your windows and steal all your garden gates by tomorrow night . . . so we did the best next thing. We annihilated the world before your very ears. You can hear the broadcast here, and read the transcript here. 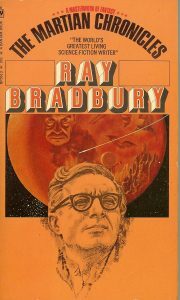 This wasn’t the last time the red planet next door aroused our fascination or phobias. “Mars has become a kind of mythic arena onto which we have projected our earthly hopes and fears,” said the late astronomer Carl Sagan. We Earthlings have long viewed our planetary neighbor through a jumble of fiction and fact. Today, multiple Mars missions are gathering more facts than ever before. We haven’t uncovered any Martians so far, but the scientific research we’re doing fascinates me more than any science fiction. Fictional Martians had scared Earthlings for centuries, but one sci-fi writer changed all that. You can read all about humanity’s fear and affection for Martians in Star Struck: Seeing the Creator in the Wonders of Our Cosmos (Zondervan, Sept. 2016). You can order your own copy here. There’s a big birthday coming up. Really big! 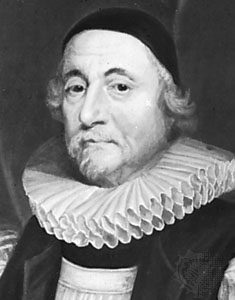 According to 17th century northern Irish Archbishop James Ussher, the universe was created exactly 6,020 years ago this Saturday. The Bible clearly teaches that God created everything “in the beginning.” But does Scripture also tell us when that beginning began? This question became an obsession for James Ussher, a seventeenth-century Irish Anglican bishop who spent decades of study and research in his quest to come up with the best answer. His dogged pursuit of the truth sapped his strength, emptied his bank account, and almost blinded him. But he persevered, concluding that the beginning had begun at 6:00 p.m. on Saturday, October 22, 4004 BCE. Helpful townspeople quickly gathered up most of the bishop’s windblown papers, allowing him to finally publish his magnum opus, The Annals of the World, in 1650. Ussher’s chronology drew mixed reviews. Ussher died six years after publishing his Annals, but his dating scheme achieved immortality when an enterprising Bible printer began including his chronology in new Bibles. 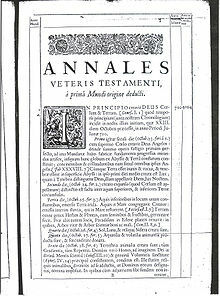 The Church of England incorporated Ussher’s dates in its official version of the Bible in 1701. Over the next two centuries, Ussher’s dates were printed alongside the scriptural text in millions of English-language Bibles, leading generations of Bible readers to think of Ussher’s chronology as the biblical chronology. This comingling of Scripture and chronological interpretation confused at least one reader. “I declare I had fancied that the date was somehow in the Bible,” said Charles Darwin. 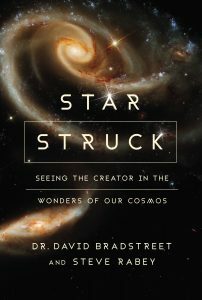 Read about efforts by theologians and scientists to determine the age of the cosmos in Star Struck: Seeing the Creator in the Wonders of Our Cosmos, written by yours truly and astronomer David Bradstreet (Zondervan, Sept. 2016). 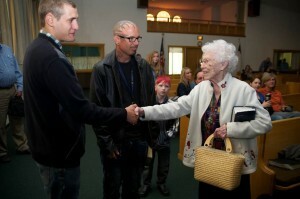 Have You Hugged Your Pastor Today? Pastor Appreciation Day Coming! People expect a lot from their pastors: theological insights; inspirational preaching; spiritual purity; powerful leadership; and a nice bedside manner when making hospital calls. But you can help pastors thrive by celebrating Pastor Appreciation Day (celebrated either this Sunday, Oct. 9, or next Wednesday, Oct. 12, depending on the calendar you use). 1,400 pastors leave the ministry every month. 90% of pastors feel they are inadequately trained to cope with ministry demands. 75% of pastors say they are stressed and fight depression. 70% of pastors say they have no close friends. 55% of pastors feel lonely and discouraged at times. 33% of pastors say being in ministry is a hazard to their families. 23% of pastors have been forced to resign 62% of terminated pastors were terminated by churches that had forced out other pastors. Only 16% of pastors say they are “very satisfied” with their prayer life. Sometimes a call from God is not enough to keep a pastor in his post. Many evangelical pastors who quit before retirement age found “another calling” either off the pulpit or out of ministry altogether. But many also say they were driven away by conflict and burnout. So says a new survey of former pastors from four denominations. 56 percent said there were clashes over changes they proposed. 54 percent said they experienced a significant personal attack. 48 percent said their training didn’t prepare them to handle the people side of ministry. Want to do something awesome for your pastor? Then give a gift retreat at SonScape Retreats. 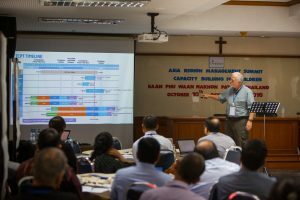 Founded by a pastoral couple more than 30 years ago, SonScape has helped more than 3,000 pastoral and missionary leaders and couples from around the world experience rest and renewal of their passion for ministry. 89% of leaders attending a SonScape retreat have remained in ministry (or have retired in ministry). 96% of couples attending a SonScape retreat are still married. Want to know more about the SonScape approach? 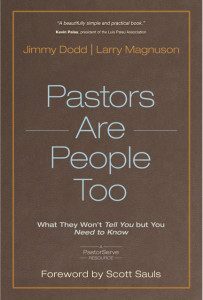 Then read Pastors are People Too (published by David C. Cook), the new book by Larry Magnuson, SonScape’s CEO, and co-author Jimmy Dodd of PastorServe. A former pastor who has been leading retreats at SonScpae for 14 years, Magnuson says the book tells you what pastors won’t tell you, but it’s what you need to know. In a time when too many pastors are discouraged, depressed, and often ready to throw in the towel on ministry, Pastors are People Too addresses the complex world of the pastor and their family. Jimmy Dodd, President of PastorServe, and Larry Magnuson, President of SonScape Retreats, have developed a deep friendship, as well as a commitment to encourage and support the men and women called to lead the Church. The two ministries have come alongside thousands of ministry couples listening to their stories and offering help and healing where needed. At least for a while this month, perhaps we can stop placing inordinate demands on our pastors, and start being someone who supports leaders, instead. It was the “Beep, beep” that changed the world 59 years ago Tuesday. The first man-made satellite to orbit the Earth wasn’t much to look at. With a shiny round body the size of a beach ball and four spindly antennae that resembled skinny legs, the device looked like an undersized barbecue grill. But this primitive little satellite had a huge global impact. Launched into low Earth orbit in October 1957, Sputnik circled our planet every ninety-six minutes. 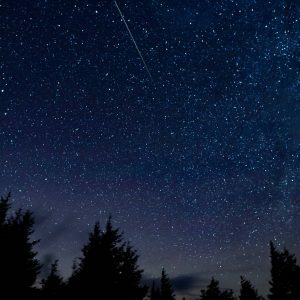 Millions of people around the globe went outside to see it pass overhead. Amateur radio enthusiasts tuned in to hear its distinctive beep, beep signal. Yes, meeting Kennedy’s challenge was expensive and difficult. And boy, was it impressive. 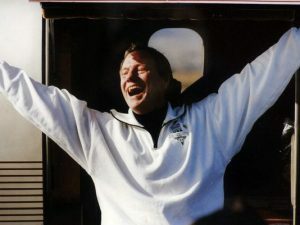 Kennedy’s audacious goal was dramatically realized eight years later when Neil Armstrong walked on the Moon and returned safely home, his journey broadcast on live television for all to see. Science fiction had become science fact. 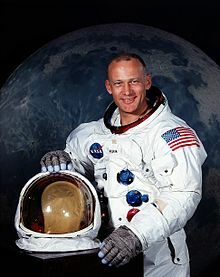 America declared victory in the space race, thanks to the billions of dollars NASA spent developing the cutting-edge technologies needed for dozens of Mercury, Gemini, and Apollo missions. Sputnik was the beginning of what we call Space 1.0. Today, Space 2.0 is just around the corner. Say farewell to space 1.0, the era of government-dominated space exploration. Say hello to space 2.0, when a new billionaire space race is funding dozens of emerging private companies that plan to sell tickets to space tourists, mine asteroids, or create Martian colonies. Thanks, Sputnik, for getting the whole thing started! Read all about Sputnik and the space race in Star Struck: Seeing the Creator in the Wonders of Our Cosmos, written by yours truly and astronomer David Bradstreet (Zondervan, Sept. 2016). First-century Christians preached a radical gospel of ethnic and gender diversity. “There is neither Jew nor Gentile, neither slave nor free, nor is there male and female, for you are all one in Christ Jesus, “wrote the apostle Paul in Galatians 3:28. But white male leadership remains the norm for dozens of major national and international evangelical parachurch organizations, as I found out in a major research project. I asked 33 ministries how many women and non-white males were in their executive leadership ranks and on their boards. More than half of these ministries–including the Navigators, a $116–million ministry, declined to answer. 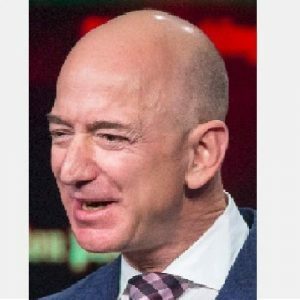 Only one of 33 major national organizations contacted for this article is led by a woman — Jane Overstreet at Development Associates International. And only three are led by nonwhite males. Back when I was the Colorado Springs Gazette’s full time religion editor, I kept close track of the city’s dozens of parachurch organizations. But over the years, most papers have eliminated religion specialists, drastically reducing the reporting on Christian non-profits. In 2014, Christianity Today published the Women in Leadership National Study. The study, which was based on voluntary responses from ministries, found that nearly a quarter of parachurch organizations have no women on their boards and more than half have no women in top positions. These leadership figures are significantly lower than those in the corporate world and the broader charitable world. In 2015, I started planning for the articles I would like to tackle in 2016 for the Gazette, where I contribute stories as a monthly religion correspondent. Nobody had done any systematic reporting on Springs parachurch groups in years, but the Gazette’s freelance rates would not support detailed research. and my next parachurch project, which will look at these ministries’ financial efficiency and their stewardship of donors’ gifts. I hope more ministries respond this time around! Thanks also to Amy Reynolds, an associate professor of sociology at Wheaton College in Illinois (a leading evangelical institution that recently appointed its first female provost in its 156-year history). Reynolds worked on the Women in Leadership National Study, and provided significant help as I worked on my two articles. For the record, here are the ministries that did not reply to my repeated inquiries. and Family Talk (James Dobson’s post-Focus ministry). 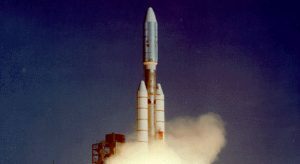 At a time when Americans hang on to their cars for an average 11.5 years, Voyager 1 and Voyager 2, two NASA space probes, are still going strong nearly forty years after liftoff. And in August 2012, after a journey of thirty-five years and more than 10 billion miles, Voyager 1 earned a cherished place in history, becoming the first human-made object to leave our solar system and cross over into interstellar space. NASA has praised the Voyager mission as its “most scientifically productive mission ever,” and the agency says the two probes will likely have enough juice to remain fully operational through 2025. In time, power will fail, systems will begin to shut down, and Voyagers 1 and 2 will go quiet and dark, losing their ability to investigate space and relay findings back to scientists on Earth. But that’s not the end. 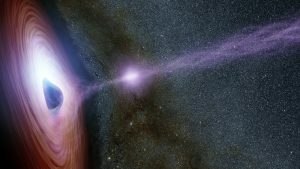 Unless the two craft are destroyed by space junk, they will spend the next few billion years passing through our own Milky Way galaxy, only one of the many billions of galaxies floating around out there. 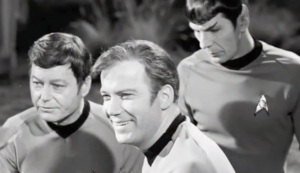 “The Voyagers are destined—perhaps eternally—to wander the Milky Way,” says NASA. Some forty thousand years from now, Voyager 1 is expected to draw closer to AC+79 3888, a “nearby” star in the Camelopardalis constellation. A quarter-million years or so later it will pass by Sirius, the brightest star in the sky. The Voyagers’ closing act may be the most exciting. Even after the two craft cease their labors as scientific probes, they will continue their work as cosmic ambassadors, reaching out to any forms of extraterrestrial life they may encounter during their journeys. 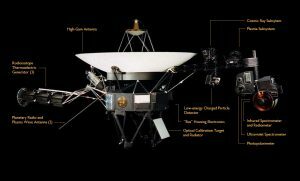 If creatures from one of our Creator’s other planets ever retrieve one of these Voyagers, they will find messages of greeting from us Earthlings, along with an invitation to get to know us better by browsing a multimedia family album featuring iconic sights and sounds from our planet. And more than one hundred color images, including a map showing our cosmic address; diagrams of the DNA structure and human anatomy; Ansel Adams photographs of California’s Golden Gate Bridge and the Snake River winding through the Grand Tetons; and two contrasting residences, India’s luxurious Taj Mahal and a humbler dwelling in America’s Amish country. Do you think anyone out there will ever “play” Voyagers’ records? 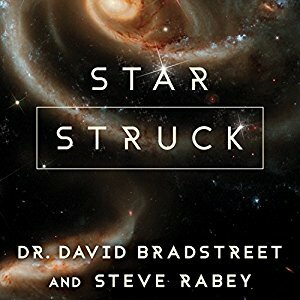 You can read all about stellar travel in Star Struck: Seeing the Creator in the Wonders of Our Cosmos, written by yours truly and astronomer David Bradstreet (Zondervan, Sept. 2016). Once upon a time, evangelicals rallying around family values declared that character was a prerequisite to leadership–especially in the president’s office. “Character counts.” That was evangelicals’ rallying cry in their all-out assault against Bill Clinton beginning in 1993. 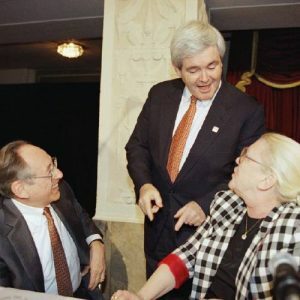 In response to what they perceived as widespread moral decline, some religious groups had become aligned with the Republican Party during the Ronald Reagan and George H.W. Bush administrations. To them, the allegedly draft-dodging, pot-smoking, honesty-challenged womanizer symbolized everything that was wrong with America. More than two decades after Clinton’s first inauguration, many evangelical leaders of that era have endorsed the draft-dodging, foul-mouthed, honesty-challenged womanizer named Donald Trump for president. Only a handful refuse to follow suit, including Albert Mohler, the president of The Southern Baptist Theological Seminary. During the Clinton years, he regularly argued in mainstream media outlets that the Arkansan was morally unfit to serve as Commander-in-Chief. Dobson has endorsed Donald Trump, who has his own issues with marriages, extramarital affairs, racism, and sexism. Dobson has not condemned Trump’s sins, claiming he is a “baby Christian” who apparently doesn’t know any better. “I just don’t understand it,” Dobson wrote in 1998. It’s all about character, Dobson wrote. 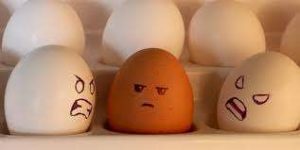 We are facing a profound moral crisis not only because one man has disgraced us but because our people no longer recognize the nature of evil. And when a nation reaches that stage of depravity – judgment is a certainty. PS: Jonathan Merritt also explored theologian Wayne Grudem’s less-than-compelling efforts to apply different standards to Trump than he applied to an earlier Republican candidate, Rudy Giuliani. It happened 39 years ago today as an astronomer involved in the search for extra-terrestrial intelligence (SETI for short) picked up a radio signal, possibly from aliens in the constellation of Sagittarius. 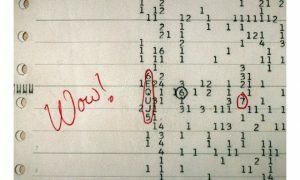 Researcher Jerry R. Ehman of Ohio State University was so shocked by the apparent bleep from space that he wrote the word “Wow!” on a computer print out. But the excitement generated by the signal has calmed down. Unfortunately, no one was ever able to pick up the signal again, leading to questions about its validity. And in the 39 years since, there have been no additional signals. 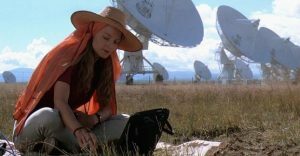 In the movie “Contact,” Eleanor Arroway (Jodie Foster) picks up signals from an alien life form. For decades, scientists hoped SETI would help us find someone out there somewhere, none more enthusiastically than the late Carl Sagan, who wrote the novel that became the popular 1997 movie Contact. 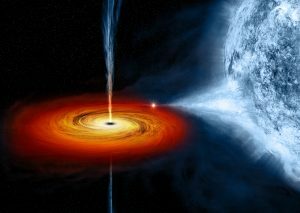 In the film, Jodie Foster plays Dr. Ellie Arroway, a scientist who picks up signals from space. Finally, another civilization has reached out with an intelligent radio handshake…. The silence has been particularly deafening for Frank Drake, one of the pioneers in SETI (the Search for Extraterrestrial Intelligence) and author of the famous Drake Equation, which argues that since there are so many billions of planets in our cosmos, it makes sense that somewhere between one thousand and 100 million of them should be home to technologically advanced alien civilizations. Now, after decades of work and millions of dollars, many scientists are moving on. But the absence of signals from space isn’t stopping Hollywood from creating more movies about alien visitation. The next film to explore the topic, Arrival, opens November 11. 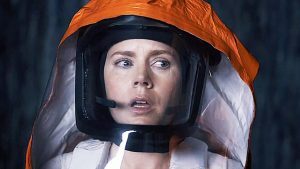 Amy Adams stars as a language specialist trying to decipher the aliens’ statements. Do you think there’s life on other planets? Why, or why not? 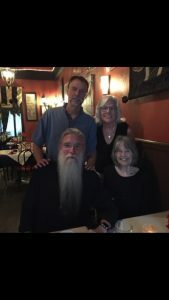 Pioneering Catholic musician John Michael Talbot visited Colorado last week, which was great for the many hundreds who heard him sing and teach, as well as for me! 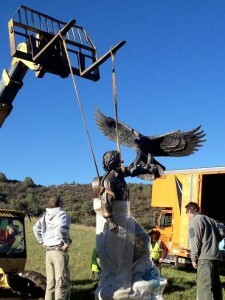 I was able to catch up with John Michael to do an article for the Colorado Springs Gazette. Plus Lois and I were able to join John Michael and Viola for dinner. The “Musical Legends” article brings together John Michael and another musical legend–Bill Gaither–who is still going strong at 80 years old. Though different in many ways, Talbot and Gaither have established themselves as musical legends, but not only by their sales figures. They’ve impacted live audiences for decades, and many people sing their songs from hymnals on Sundays. Both artists have also mentored other artists. 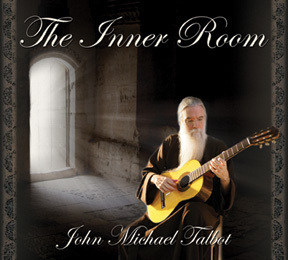 John Michael sang at an event organized by the local St. Thomas Aquinas society, including both classics and new songs from his upcoming album, The Inner Room, his 55th release, which comes out in September. 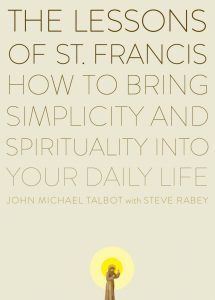 The Lessons of St. Francis, the first book John Michael and I wrote together, is now in its 31st printing. 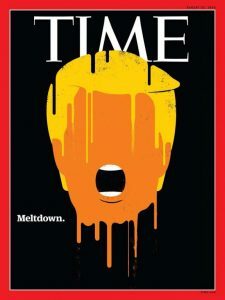 The new version features a new cover. The cover emphasizes St. Francis’s “smallness” and humility–characteristics that one can also see in Pope Francis, who adopted Francis’s name upon being elected pope. 4) Little Portion bakery incites overwhelming desires! Two years ago, Viola had an idea. “Start a bakery!” Today, the Little Portion Bakery is generating funds for the Brothers and Sisters of Charity, the community John Michael founded. 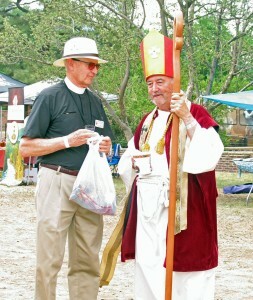 John Michael’s appearances in Colorado, New Mexico and Texas are part of his itinerant ministry. Astronomers recently found something very interesting more than 300 light years distant: an Earth-like planet (or exoplanet) that has three suns. Multiple-star systems made no sense to me a couple of years ago, but that was before I met David Bradstreet, an astronomer whose specialty is binary stars. 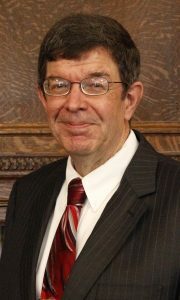 Astronomer David Bradstreet of Eastern University. Remember the dual suns Luke Skywalker saw from his home planet of Tatooine? Star Wars got it right. Multiple-star systems like the binaries that warmed Luke’s skin make up 60 percent of all the stars in our cosmos. When I study the light curves coming from distant binaries, I can tell if the gravitational bond between them is strong enough to pull them closer together. When the bond is extremely strong, the two move close enough to exchange energy and mass. Seeing this process play out is like having a front-row seat for the most amazing show ever. I’m witnessing a vast cosmic dance involving celestial bodies whose power and energy stretch over billions of miles. In this dance of binary stars I see God. Not literally. God is invisible. But when I study the heavens, I see God’s character expressed in the order, beauty, complexity, and harmony of the many marvelous worlds he has made. Today, most scientists agree that 60 percent to 80 percent of all the stars in the cosmos are in multiple-star systems. Our solo Sun is not the norm, but a solitary outlier. Our Earth takes a year to orbit its single sun. It takes HD 1313388Ab (yes, that’s the “name” of the newly discovered planet) some 550 years to orbit its multiple suns. For part of that orbital period, the planet enjoys multiple sunrises and sunsets every day. The rest of the time it is bathed in constant starlight. Dave has been studying binaries for decades, and has even developed a software product called Binary Maker 3.0 that helps astronomers analyze the tugs and pulls that binary stars exert on each other. To learn much more on multiple-star systems and other amazing astronomical discoveries, read Star Struck: Seeing the Creator in the Wonders of Our Cosmos, written by yours truly and astronomer David Bradstreet (Zondervan, Sept. 2016). Trump fired back at Khan in a lengthy interview on This Week with George Stephanopoulos that was taped here in Colorado Springs. Khan has been ubiquitous in the media ever since, including this interview with his wife Ghazala on Monday’s PBS News Hour. His comments and approach remind me of a godly Muslim man I’ve known for 20 years, Arshad Yousufi. I wrote about Arshad last summer, highlighting his patriotism, his public criticism of terrorism, and his love for the Fourth of July. The questions arise every time a terrorist praises Allah while beheading or bombing innocent women and children. Where are the moderate Muslims? And why don’t they stand up and say something? 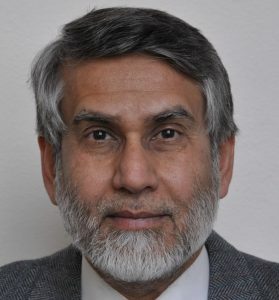 Ever since 9/11, Arshad Yousufi, the spokesman for the Islamic Society of Colorado Springs, has been standing up and speaking to more than 50 church and Bible study classes, community groups and students at local colleges and high schools. He also speaks to reporters and offered sound bites to ABC affiliate KRDO for a recent story on a local motorcycle club’s anti-Muslim barbecue. “If people knew enough Muslims, this negative image would not be their perception of Muslims,” he says. For many Americans, Khan’s comments may be the first they’ve ever heard from a devout and fiercely patriotic Muslim American. But as Arshad Yousufi told me, patriotism comes after faith. The dissection of the Republicans’ 1964 shellacking came out half a century ago, but it’s still generating headlines and debates. 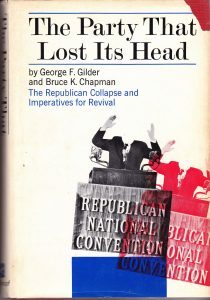 Thus wrote George Gilder and Bruce Chapman in “The Party that Lost its Head,” after Barry Goldwater’s landslide 1964 defeat. The costs of the debacle were very high: The GOP lost 36 House seats and its Senate contingent was reduced to a corporal’s guard of 32. Out of Goldwater’s defeat came the New Majority and Reagan Revolution. And Chapman and Gilder moved rightward to serve with distinction in that revolution. I tracked down a used copy of this 1966 book so I could see for myself if it sheds any light on the current election cycle. I’m neither a Republican nor a Democrat, but I’ll be watching the GOP convention this week to see if any of the book’s critiques of the Goldwater-era party resonate with the party of Donald Trump. The book is an effective indictment of the party’s suicidal instincts and offers the kind of constructive criticism that can only do good for any hopeful prospects the Republicans may entertain. 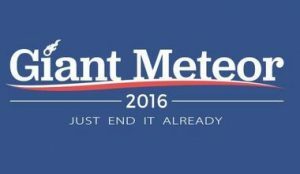 I’ll be curious to see what kind of party emerges from this week’s convention in Cleveland. As for Gilder and Chapman, these former rebellious “liberal Republicans” have become loyal party conservatives. And both remain busy. 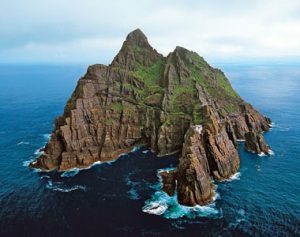 Ireland’s Skellig Michael–one of the world’s most stunning ancient spiritual sites, and probably my favorite place in the world–is under threat. Blame Luke Skywalker. Remote and inaccessible, Skellig Michael was an ideal site for solitude-seeking Celtic monks. From the sixth to 12th centuries, a small band of intrepid Celtic monks made this remote, rocky island seven miles off the western coast of Ireland’s County Kerry a safe haven for their most important activities: prayer and meditation among the silence and solitude. “Two-thirds of piety consists in being silent,” states the Rule of Ailbe, one of many monastic rules collected in Uinseann O’Maidin’s excellent book, The Celtic Monk. 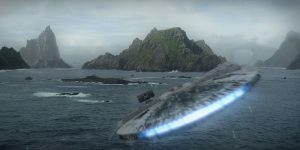 The fictional Millennium Falcon zooms toward the ancient island of Skellig Michael. But the island’s calm quiet hasn’t been quite the same since Luke Skywalker’s Millennium Falcon landed here in Star Wars: The Force Awakens. Now, unprecedented numbers of movie fans are visiting this sacred site, which is often impossible to reach due to big ocean waves and swells. Ireland tourism officials welcomed the exposure as “a truly unique opportunity” to highlight the region’s charms, but others worry the sacred island– a Unesco World Heritage site–will be trampled. Students of Peter Harbison learn about the island’s legacy. 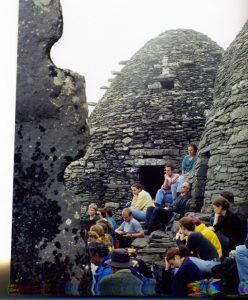 Before The Force Awakens awoke these movie fans, most visitors came here to study and experience the island’s 1,000-year monastic legacy. During one visit, Lois and I stumbled across legendary Irish historian Peter Harbison, who was visiting the island with students. But according to a report on CBS News, thie new breed of Skellig tourists cares more about seeing the “set” where movie scenes were filmed than they do the island’s rich history. “We thought it would be fun to come out here and pretend that I was Luke Skywalker,” said one dad, while his daughter pretended to be Rey, a new female character (see: http://starwars.wikia.com/wiki/Rey). Only 180 people a day are able to visit the island during its May-to-September season, and thanks to Star Wars all 2016 slots are spoken for. Tradition tells us Skellig Michael (the name combining the Irish word for rock with the name of the archangel believed to bless high places) was founded by St. Finan sometime between the sixth and eighth centuries, and when this single-minded monk chose a site for his monastery, he selected one of the most inaccessible, most inhospitable, most amazing sites the world has ever known: a steep, rocky island eight miles out in the Atlantic off County Kerry’s southwestern tip. Then as now, wind and waves can render the island totally inaccessible for weeks at a time. This can be frustrating for the modern-day tourist. We’ve had many of our attempts to reach the island foiled when locals like Des Lavelle, who is the acknowledged living expert on the island’s history, folklore and wildlife, refuse to offer boat trips to the site out of deep respect for the huge ocean swells which make landing on the island impossible. One other time, we did manage make it to the island, but the journey was nauseating, the landing was treacherous, and the wind and rain–which caused droplets to speed horizontally so they hit us in the face like tiny bullets–made it impossible to fully appreciate the island’s beauty, although it did increase our respect for the place’s hardy former inhabitants. These monks wanted to be alone and otherworldly, which was becoming increasingly difficult at some of the mainland Irish monasteries, many of which were evolving into hubs for bustling monastic cities. Priority number one was settling in a spot where their meditations on God wouldn’t be interrupted, either by curious visitors or by the trappings of the world. The monks’ amazing monastic complex is located some 550 feet above sea level. Reaching the complex requires climbing 600 rocky steps. Two Americans have fallen from the island to their death. The island’s ruggedness and inaccessibility have helped preserve its ancient remains, making Skellig Michael one of the world’s best preserved example of early Christian architecture. The remote site has long attracted visitors. Beginning in the 820s, Viking raiders sacked the island, and they would continue to do so on and off for much of the next three centuries. More recently, Loreena McKennitt included a song entitled “Skellig” on her bestselling 1997 recording, The Book of Secrets. Centuries after Ireland’s Celtic monasteries were founded, the monks’ search for stillness of soul and calmness of surroundings speaks volumes to us about our own noisy lives. 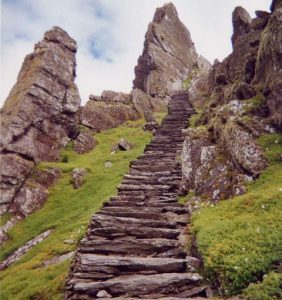 Skellig Michael has survived for centuries. Let’s hope it survives its sudden fame. 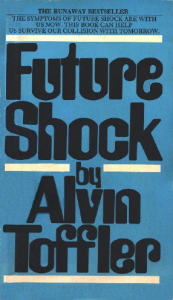 The world’s most famous futurist published Future Shock in 1970. “This is a book about what happens to people when they are overwhelmed by change,” he wrote. Toffler issued predictions, correctly foreseeing the demise of the nuclear family. But he missed the boat on cities, incorrectly suggesting that they would shrink as work was distributed. 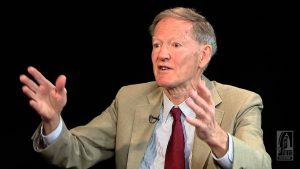 But yesterday’s version of normal is unlikely to return, says futurist Thomas Frey of Colorado’s DaVinci Institute. I interviewed Frey for the article, “Future Shock, Revisited,” for The Gazette. “Look at the adoption speed of new business models. After the invention of radio, it took 38 years for the technology to reach five million users. TV took only 13 years to reach that number. The Internet reached that level in four years, while Twitter took only nine months, and the Angry Birds game reached five million in 35 days. The present becomes the future every second. Toffler and other futurists show that this process can be destabilizing when we feel it’s moving too quickly to destabilize the cultural traditions we embrace. What can we do to better adapt to the pace of change? The 7th century abbot of a French monastery is the inspiration for a Colorado event and a nationwide movement of Christian beer drinkers. This article the Colorado Springs Gazette focuses on local event organizer Brian Bennett, who dresses up as St. Arnold to greet his hundreds of guests. It’s been over a decade since Colton Burpo told his parents he had visited heaven during surgery. And on Wednesday, the movie version of “Heaven Is for Real” opens nationwide. If you want to know how we got from one child’s experience to a major motion picture (thanks to agent Joel Kneedler), check out my article in the Colorado Springs Gazette. American are experiencing a major shift in their attitudes toward marijuana (see recent surveys from CNN and Gallup). “Pot Pilgrims” tells the stories of Christian families relocating to Colorado Springs to treat their children with Charlotte’s Web marijuana oil. 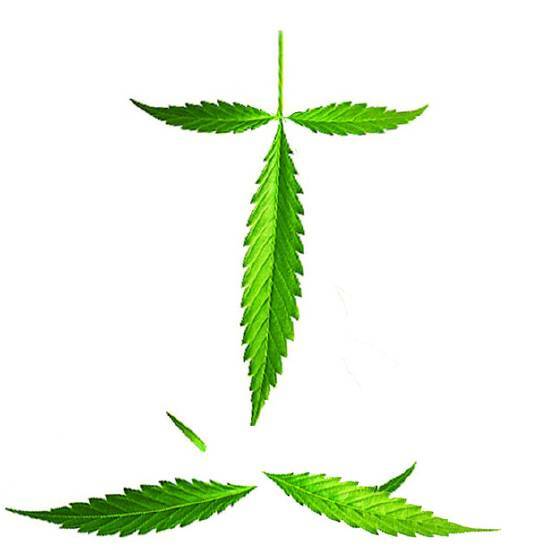 “Marijuana Ministry” offers the first-ever look at the Stanley brothers’ faith and the Christian commitment that is the foundation for their work with Charlotte’s Web.